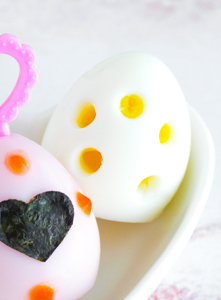 Up your hard-boiled egg game with these 4 easy & adorable ways to decorate eggs. An excellent addition to any bento box, eggs are a great way to add some extra protein to your lunch and fill up empty stomachs. But, let’s be real here: plain, hard-boiled eggs aren’t all that exciting. I’m talking about whole hard-boiled eggs, which just look like awkward white masses when placed inside a bento box. One way to overcome this is by cutting the egg in halves, slices, or wedges – all perfectly feasible choices, and great for adding to more traditional bento boxes. 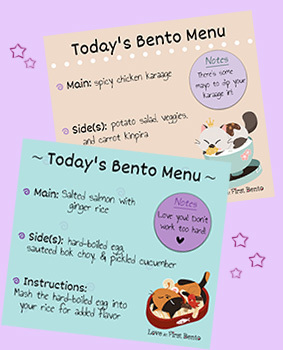 But what if you want something a little bit cuter, a little bit fancier, for that adorable bento box you just prepared? Thankfully, there are some really easy ways to amplify an egg’s cuteness factor (and you don’t even need to cut it up!). 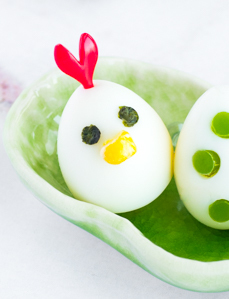 Say goodbye to boring white blobs, and hello to 4 easy, super cute ways to decorate your hard-boiled eggs. 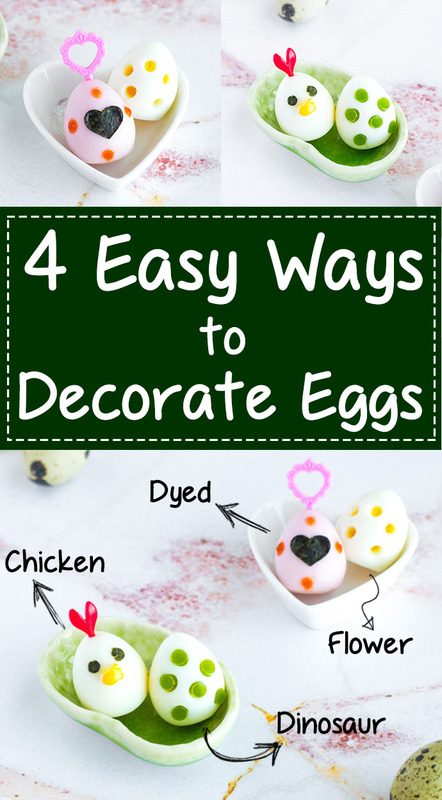 Note: I used quail eggs in the pictures and video, but these design methods would work equally as well with chicken eggs. Add warm water to a drinking glass or small bowl (enough to cover the egg). I like using drinking glasses, because the egg stays fully submerged in the dye liquid, resulting in even coloration. If you’re dying quail eggs, shot glasses work perfectly for this! Add about 1/8 – 1/4 teaspoon of your natural dye (suggestions below) to the water, and mix until fully dissolved. Add more dye if necessary. Add your egg to the dye mixture, and let sit for a minimum of 15 minutes. You can allow it to sit for longer (a few hours – overnight) if you want a darker colored egg. If you want all colors of the rainbow at your fingertips, then I highly recommend this 100% natural, organic food dye kit – it comes with every color you need! I always use these dyes to color my food, as they produce beautifully rich, vibrant colors every time. 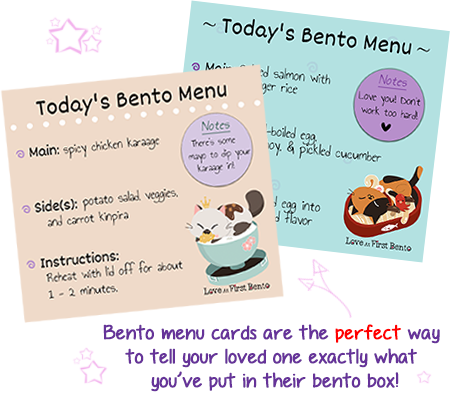 Once you’ve dyed your egg, you can add it to your bento box as is, or you can use it as a base for any of the other decorating methods listed below. 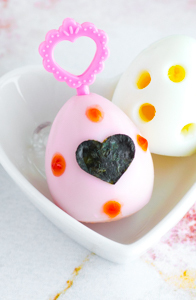 I decided to decorate my pretty pink egg with a nori heart, a few little “jewels” of ketchup, and a heart pick at the top. 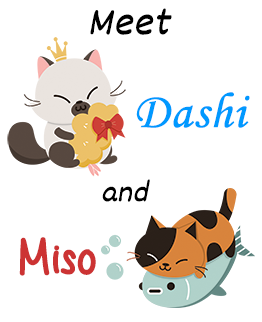 Feel free to add all sorts of nori cut outs to your colored egg! Using a drinking straw or cutting tool, make little circle cutouts from veggie, ham, or cheese. Using a straw or cutting tool, make little circle cutouts all around your egg. You don’t have to push your cutter all the way into the egg – push until you feel it break past the egg white portion, then remove. Using tweezers or chopsticks, insert your veggie/ham/cheese circles into the circle openings on your egg. Make sure you have enough! I absolutely LOVE using this cutting tool when I’m making my dinosaur eggs (as well as for many other bento applications), but you can definitely use a straw to make your circle cutouts; just cut it down to a 1-inch length. Keep in mind that, with a straw, it can only cut out soft items (not hard vegetables like peppers). 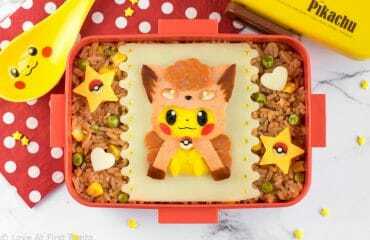 See how dinosaur eggs were used in this Pusheenosaurus bento box. 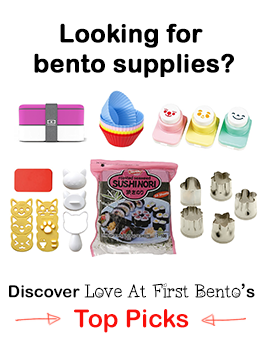 This is a really easy way to add a simple touch of elegance to any bento box. And the best part is, all you need is a straw! Using a straw or cutting tool, make 5 – 6 little circle cutouts on one side of your egg. 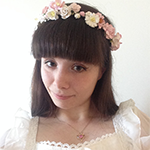 To make the flower shape, aim your cutouts to be along the path of a circle. 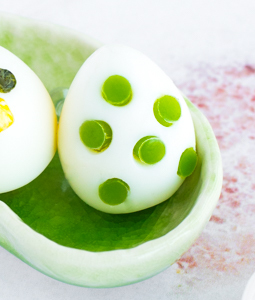 This method would also look great with a dyed egg, or with a fancy food pick inserted at the top. Or, just keep it as is, like I did! Using a circle or any kind of face nori punch, cut out 2 circles from nori for the chicken’s eyes. Apply to the egg using tweezers. 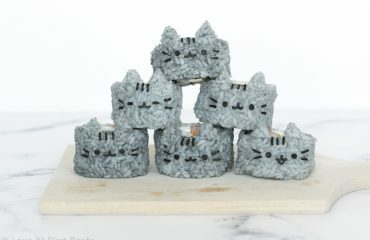 ALTERNATIVE: Use black sesame seeds instead of nori (dip in a little mayo or honey to help them stick). Take a red or pink heart-shaped food pick and insert it into the top of the egg – this will be the chicken’s comb. Who doesn’t want cute little egg chickens in their bento box? 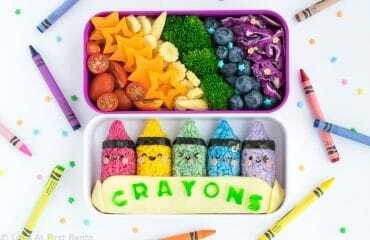 These guys are the perfect way to make any bento box look adorably fancy, and with minimal effort. 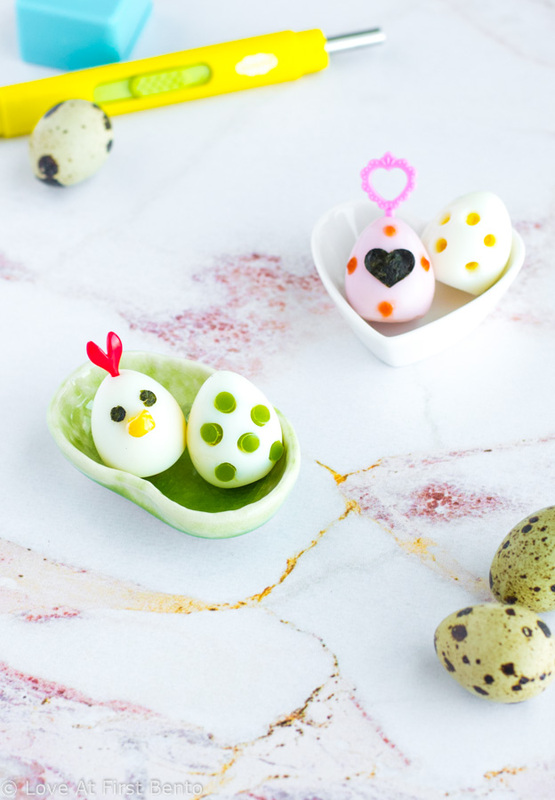 So, the next time you feel like your bento box needs an extra little something, try adding one of these cute egg designs. They’re simple to master, and offer impressive results, making this a total win-win! Those are the cutest eggs I have ever seen. Cant wait to try this for my daughter.